The all year round resort of Queenstown is widely renowned for its status as the hub of adventure activities in the New Zealand. However, it also features fun attractions that are ideal place to visit for fun and excitement with the family. 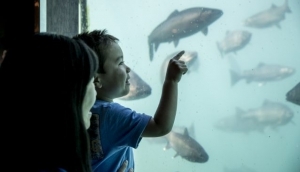 Our 'Queenstown Attractions' is a guide to the various tourist attractions to visit which offer fun for all of the family With a birdlife park, a gondola and luge track, ice arena, parks and gardens, there's more than enough to keep everyone entertained. Check out our 'Points of Interest' guide to see all the free 'natural scenic attractions' that are well worth visiting. Game Over is Queenstown’s largest indoor playground. No matter what the weather is like there is plenty of entertainment and awesome family fun!